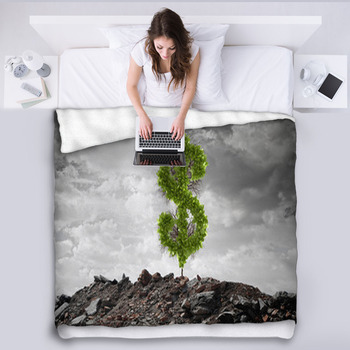 Give your bedroom the enchantment of some of your favorite things with our rich and luxurious money themed blankets. 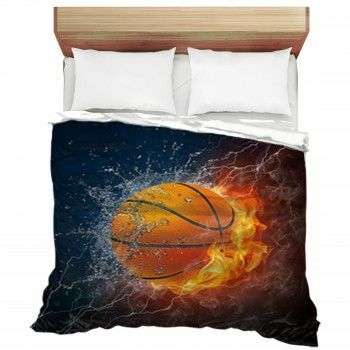 Everyone loves the look of cold hard cash and now you don't have to be Donald Trump to enjoy its beauty in your home and bedroom. 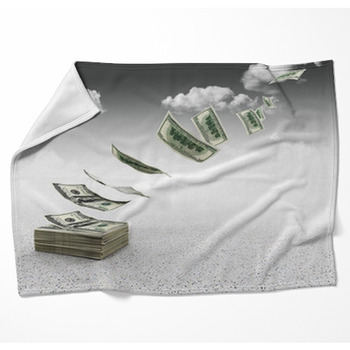 Our fleece and woven blankets are coated with piles and piles of money as well as diamonds, jewels and other treasures just waiting to bury you in their opulence. Who knew that piles of Benjamins would be so warm and cozy? 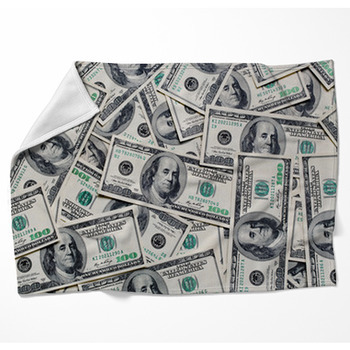 These comfy throw blankets might even give you a bit of extra luck when you hit the casino or ask your boss for that raise. 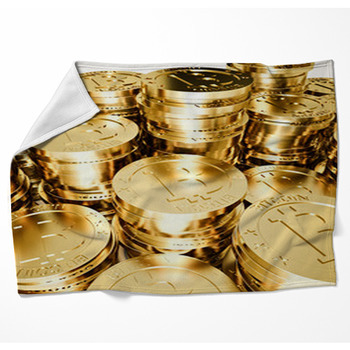 All kinds of money can be found on our lavish blankets from pennies and coins to pure 24k gold. 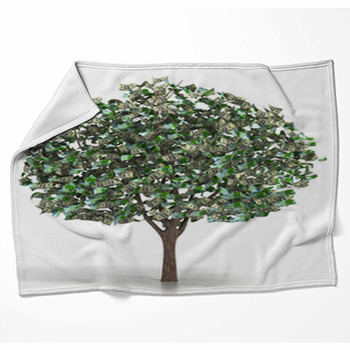 Give your room the look of true magnificence with blankets showing artistic illustrations of hundred dollar bills piled high or a tree that is literally sprouting bucks to be plucked. A big US dollar sign is shown coated with gold and diamonds or set aflame to express that classic saying we all know so well. 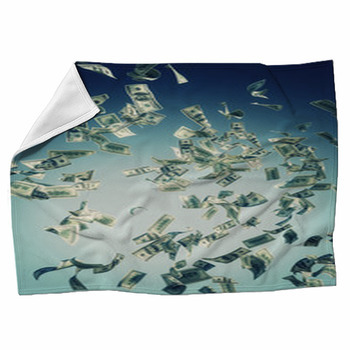 A green grassy field is even lucky enough to be underneath money as it rains down from the clear blue sky. Finally catch that elusive leprechaun with our throw blankets showing a pot of gold coins overflowing with shining brilliance. These extravagant home decorations also make great gifts and will be cherished as if they were actually made from money itself. Add a personalized touch with your own custom text and you'll have the perfect birthday or graduation present. 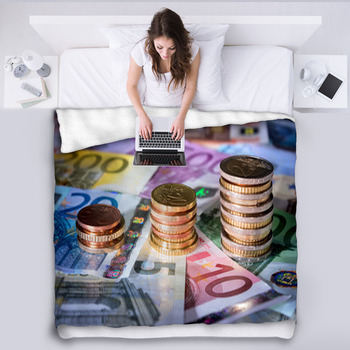 Of course, if you've really got money fever you can decorate your entire unique home with our classy money themed pillows, wall murals, window curtains and bathroom décor. Your home can have the palatial look of Fort Knox when it is dripping with our brilliant diamonds, gold and classic American dollars.